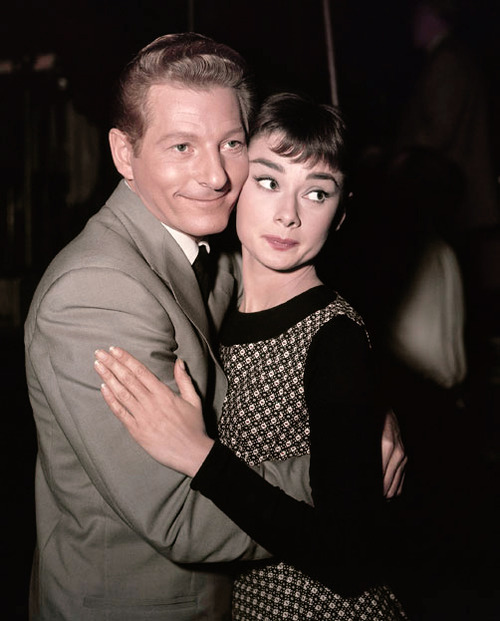 Audrey and Danny Kaye. . Wallpaper and background images in the 오드리 헵번 club tagged: audrey hepburn. This 오드리 헵번 photo might contain 잘 입고 사람, 정장, 바지 정장, 잘 차려 입은 사람, 양복, pantsuit, 레저웨어, 여가 복, 겉옷, overclothes, and 겉 옷.